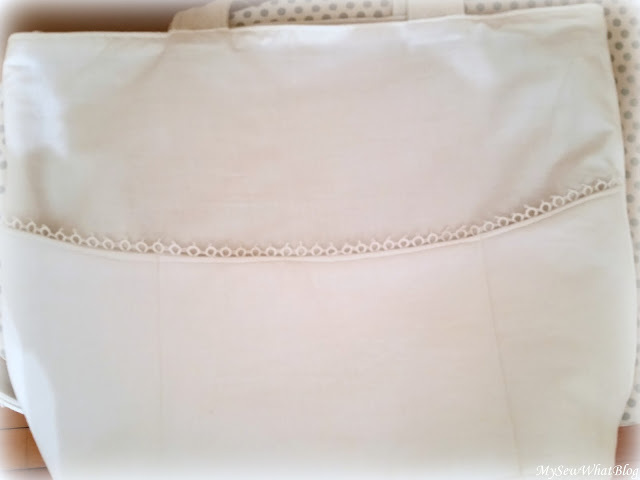 Sew What: Something Old, Something New Again! Oh, oh, OH!! I am so in love with this tote bag, Linda! I agree with Diane, I think this is the prettiest bag that you've made. Beautiful work, sweet friend. May you have a fantastic weekend. This is beautiful in every way, all of the detail, trims and crochet, you are really on to something with this bag-hum...any chance you would consider making a pillow or two ?? Thank you Jemma! Funny you mentioned pillows as I am going to make a,couple for my porch. I will let you know how they come out! Are you talking about stuffed pillows or pillow forms and covers? Have a great weekend! Oh lovely, Linda! 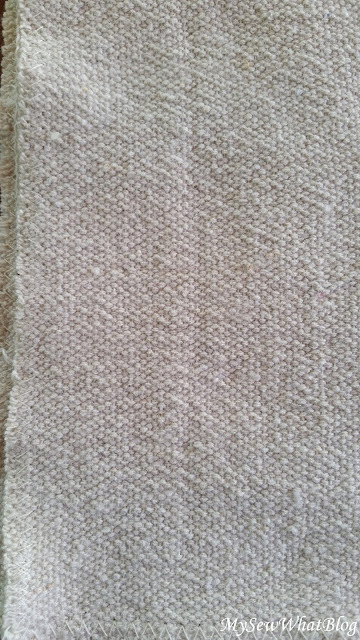 Yes, the drop cloths are many and varied, even from the same company. I learned that making the drapes in my living room. One window has the fine linen look and the other set of windows the nubby, rustic look. Oh well! Good enough for the room they are in. This tote bag is so darling that I would use it for my purse...oh, yes, I would. The pillowcase lining was inspired, too! Beautifully done. Aha Vee, You have experience working with dropcloths! Are your curtains on your blog? I will have to check your archives.....I love the different textures and the natural look of the fabric! Have a lovely weekend, it's so nice here, must be nice where you are too since you aren't that far away! Enjoy Vee! ....and thank you for your lovely comment! Hi Linda, wow what a pretty bag you made and I love your new blog design too! Thank you so much Connie! So nice of you to drop by for a visit. I appreciate it!!! Have a great day! Hi Linda! I am visiting from Roses of Inspiration...this is just absolutely beautiful. 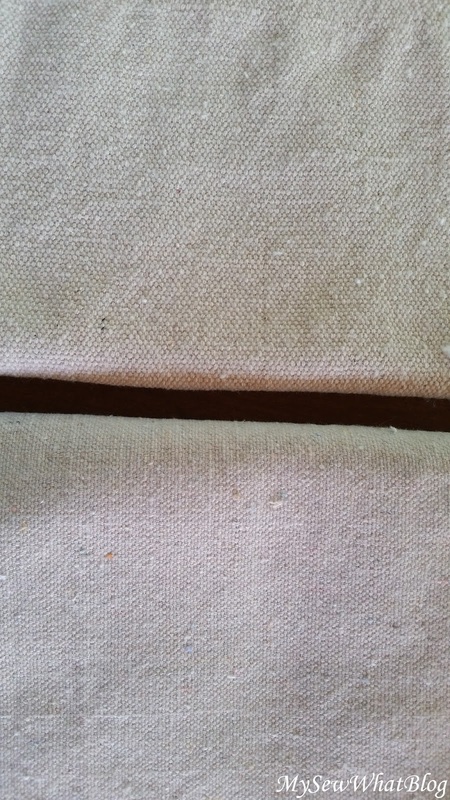 I love the nubbiness of that drop cloth fabric too! You are right...it has such a lovely texture. You have created a thing of beauty here, for sure...such great detail! Enjoy your Tuesday! Linda, I'm visiting from dear Stephanie's blog today, and I am delighted to see more details of your beautiful bag! I love the old and new items you've used, and oh my, I love the lace and doilies! I am a former quilter (turned stamper), but I so admire and enjoy seeing beautiful work like yours! Hugs! Hi Cheryl, happy to meet you through Roses of Inspiration! Thank you very much for your kind words. I love combining old and new! I can see the attraction to stamping. I love to stamp and receved thr cricut explore as a gift. Now I have crafting attention deficit disorder!!! I'll have to stop by your blog! Thank you for visiting mine! Hi Linda, just love this gorgeous tote. Any treasure with lace just wins my heart! 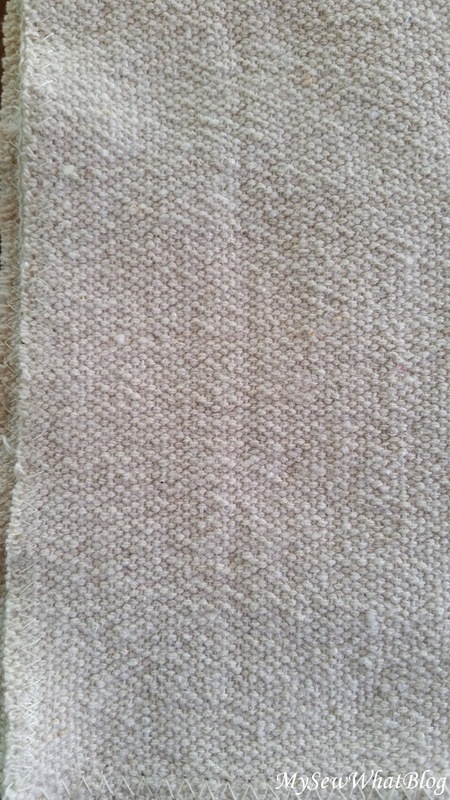 The texture in this drop cloth fabric is so unique and makes it special. Your talents are amazing and everything you design is beautiful. Congrats on your feature at Stephanie's. 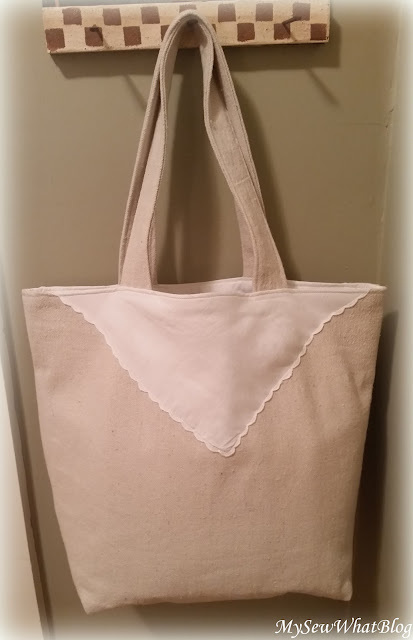 I just love this vintage looking tote, Linda. The doilies and the fabrics you chose are the perfect choices for the tone on tone effect. It's so dreamy and romantic looking. Thank you Kitty! I do love the tone on tone look. 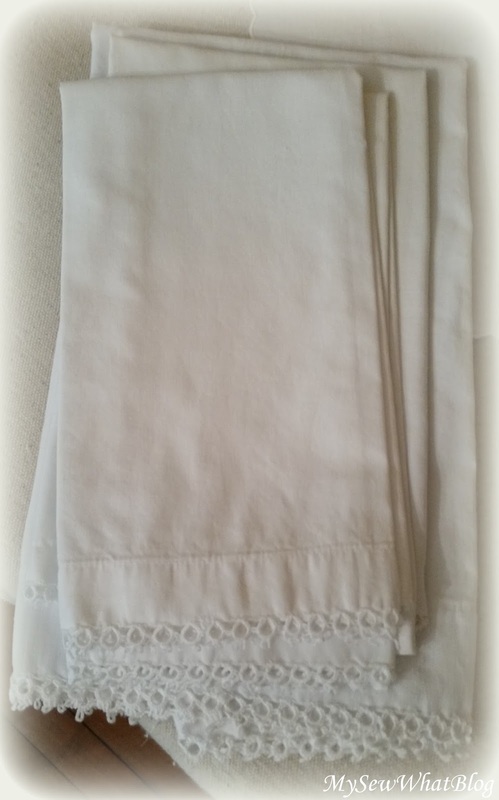 I plan to making another one as I have collected quite a few linens. Thanks for dropping by to take a look Kitty! I appreciate it! All of those textures are so pretty together. I can see this bag being worn from weddings to shopping and I know you would have people stopping you and wanting to look at it. You are so creative! Thank you Dewena! Every now and then, for that occasional special event, I have needed a tote bag that didn't look so "every day". Especially when my girls were young. This would have been perfect!